Moving heavy and awkward materials is a bona fide challenge in any situation. reducing downtime, preventing injuries, and handling a large volume of materials can become overpowering lacking the right equipment. Sometimes, effectiveness is dictated by the quality of the material handling equipment being used. On the other hand, in a lot of settings the use of insufficient, dated, or wrong material handling equipment causes output to tail off under heavy loads. Moving any materials with the wrong equipment can be dangerous, time-consuming and can reduce ROI as a result. 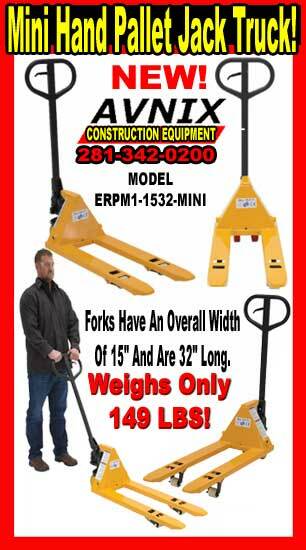 The majority material handling equipment is intended for general material handling requirements. Acquiring the right equipment for the job at hand can make the difference between output and wasted time and money. The main thing that it saves is your health, trying to transport heavy things without the right equipment is a top cause of back related injuries on the job. Compact enough to reduce storage space. Smooth finish for simple cleaning. Uniform capacity is 1,100 lb.